A public consultation exercise is seeking views on new proposals for 26 affordable rented homes at Nelson Village in Cramlington. Northumberland County Council has arranged a public exhibition and is asking for comments and feedback on a plan which would see eight two-bedroomed bungalows, ten two-bedroomed houses, four three-bedroomed houses and four one-bedroomed apartments, built on land off Arcot Avenue. The exhibition will be on Tuesday, July 14, from 2.30pm to 7.30pm at Nelson Village Miners Welfare Club on Nelson Avenue. At the event you will be able to speak to a member of the design team and representatives from planning and housing teams, and provide your views on the proposed plans. The proposed scheme is part of Northumberland County Council’s ambitious plans to build or enable 2,135 new affordable homes in Northumberland by 2018. 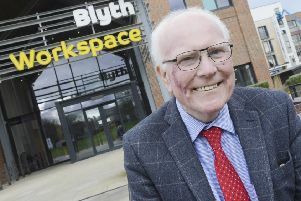 Coun Allan Hepple, cabinet member responsible for economic growth at Northumberland County Council, said: “I encourage as many people as possible to come along and see the plans, and feed in any comments they have. “Consultation is a vitally important part of the development process and we will carefully consider all comments made, and feed views into the process before a planning application is submitted. Anyone who can’t attend the event can email HousingProposals@northumberland.gov.uk or write to Affordable Housing Team, Northumberland County Council, County Hall, Morpeth, NE61 2EF.